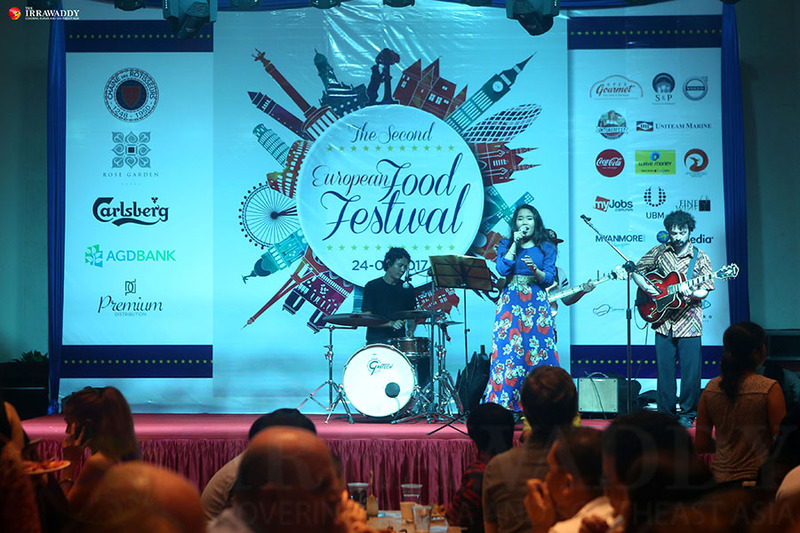 Yangon’s Rose Garden Hotel was transformed into a little Europe on Saturday as 1,500 people attended the second annual European Food Festival organized by gastronomic association La Chaîne des Rôtisseurs and Carlsberg Brewery, with support from the European Union Delegation to Myanmar. 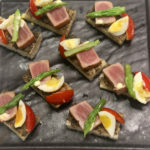 Swedish meatballs, German bratwurst, Italian pizza, and Polish dumplings were washed down with Romanian wine and British craft ales—all to the tune of live Euro pop and jazz. 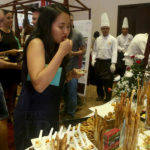 The money from ticket sales raised an estimated US$14,000 for two charities: Hamburg-based Myanmar Development Aid e.V’s Thanlyin Orphanage and educational and vocational training community organization My Red Elephant, according to Alexander Scheible, General Manager of the Rose Garden Hotel. 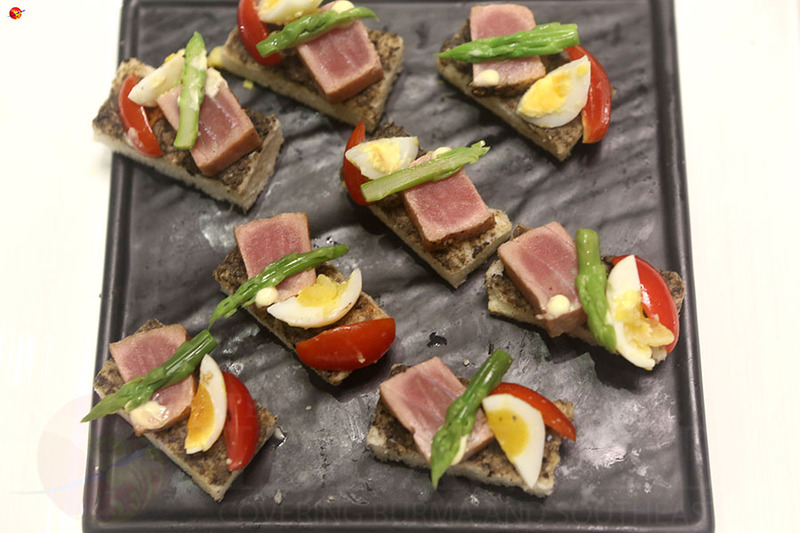 Scheible described the day as a “great success,” praising the all the restaurateurs and chefs who came together to showcase the diversity of European food. 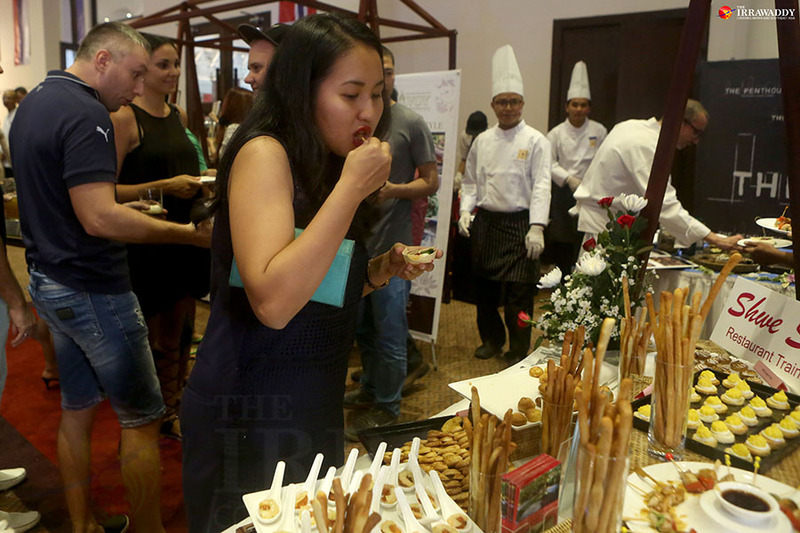 Twenty-eight European countries were represented by booths forming a “who’s who” of Yangon’s European dining scene. 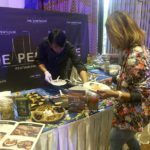 Sanchaung’s Mahlzeit Restaurant served up delicious German fare, Le Planteur on the shore of Inya Lake offered French beef and potato. 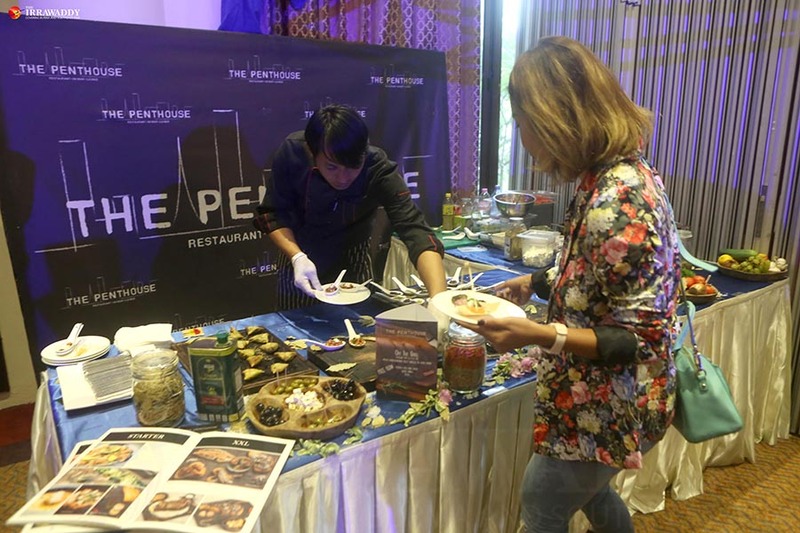 Pun+Projects (the brains behind 50th Street Bar and Grill) presented a hearty beef stew, and tasty ricotta-stuffed pasta and pizza were on offer at L’Opera’s booth. The City’s five-star hotels did not disappoint. 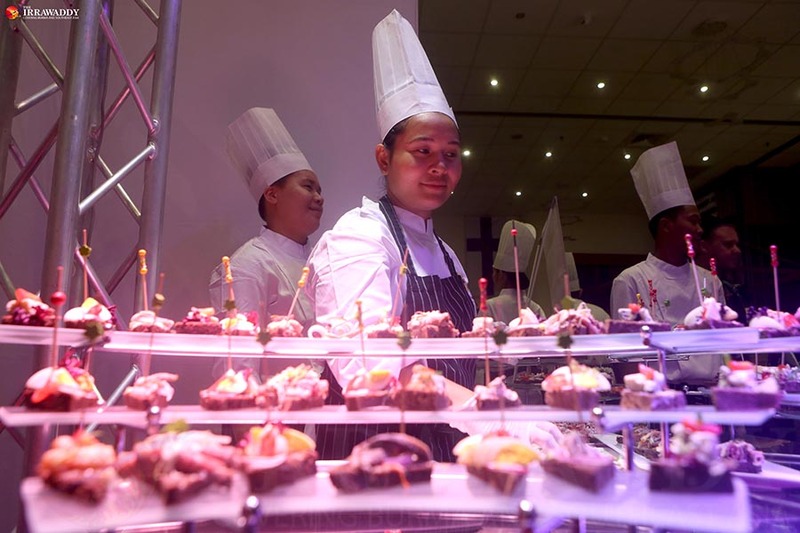 The Polish dumplings and stuffed cabbage by Kandawgyi Palace Hotel were the epitome of European comfort food while The Savoy kept it simple, and delectable, with large squares of fine smoked salmon served with beetroot. 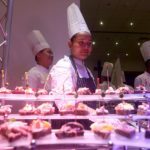 For those with a sweet tooth, highlights included Annie’s Greek-style yoghurt with various fruit compotes, chocolate brownies and mini lemon meringue pies from restaurant training school Shwe Sa Bwe, and waffles from Myanmar Deaf Chefs. 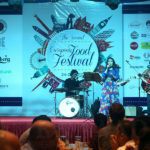 The—at times deafening—soundtrack to the party was provided by Ye Lin Aung who played British pop tunes, and Alice’s Wonderband whose performance included French tunes and blues numbers. A tango dance show also captivated attendees, particularly among the children. 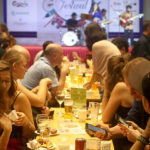 Glasses of German weizen beer, English bitter, and blonde ale by Yangon’s first microbrewery Burbrit were popular, leading to queues and frequent barrel changes. Bottega sparkling wine also went down well with guests, even if it was served in paper cups.